Dreading Braces? Invisalign May Be The Answer! Children and teenagers that require braces and other orthodontic devices often dread the very thought of it. One solution is the Invisalign program that fixes crooked teeth without unsightly wires causing metal smiles. Today’s braces are nothing like the past hardware that closely resembled medieval torture devices! Invisalign is known for their invisible equipment and the effectiveness of the treatment. In fact, the company has developed a line completely devoted to the needs of teenagers’ orthodontics. One thing that teens really love about this teeth-straightening program is the fact that the apparatus can be removed while eating. Unlike traditional braces, there is no worry about getting food caught in the braces or feeling like they are overwhelming due to this sense of permanency. This method is also a lot less painful than metal braces and there is no difficult process to add and remove them. Your dentist will simply take a mold of your child’s teeth and Invisalign will do the rest. As the process moves forward, there may be some discomfort on the first few days of each new piece. Teenagers are still growing, and their mouths are no different than the rest of their bodies. Due to the ability to adjust the plastic trays that are used for the teeth alignment, any modifications can be done fairly easily. Also, if the teeth move again after the treatment is concluded, new plates can be ordered to make the necessary corrections. The alignment plates must be worn twenty-two hours of each day to be effective. The appeal of the process is that it delivers the same results as traditional braces without the pain and discomfort or the unsightly look of metal and wires. Invisalign can be brushed very easily and the aligners should be cleaned by your child each time they are removed before putting them back into the mouth. Both braces and Invisalign come with a significant cost, however, most insurances to at least partially cover both options. 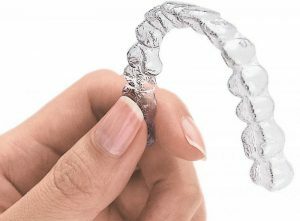 Invisalign care can range from $3,500 to $8,000 depending on the amount of realignment that is required. Dental practices understand that this cost can be burdensome to many families and are happy to work with you to ensure that you receive the highest insurance reimbursement available to you. If your insurance does not cover the entire amount, and most will not, many practices offer financing or payment plans for the remaining balance. Talk with your dentist’s office to learn more. The teen years are already filled with enough awkward moments, and braces do not have to add to the stress. With Invisalign Teen, the straightening process is one that is discrete and does not need to cause any embarrassment. Your child deserves a healthy and beautiful smile, and Invisalign delivers results without the pain and discomfort of metal braces. Talk to your family dentist today to learn more about Invisalign and how it can help your child gain a healthy and gorgeous smile! Take a look at our website, allfamilydentalcareeverett.com, to learn more about our great orthodontics programs!